After a globe spanning career, honing his craft in dome of the finest resorts, restaurants and food cities in the world, Chef Krisztian settled in the heart of Sonoma’s wine country, at his restaurant, Tisza Bistro, in Windsor. Here his passion for hospitality, sourcing quality local ingredients and sharing his love of cooking are on display. A native of Budapest, Hungary, Chef Krisztian was raised at the culinary crossroads of Europe, a place where east meets west in a melting pot of strong flavors, spices, history and technique that define Hungarian gastronomy. Like many great chefs, it all goes back to his mother’s cooking and a sense of tradition and honesty that he refined through years of study and practice that are the foundation for his cuisine today. After graduating from the Karoly Gundel Culinary Arts Institute and working in grand hotels in Budapest, he trained with some Europe’s most acclaimed chefs, including stints with Paul Bocuse at the three Michelin star L’auberge du Point de Collonges and at Alain Ducasse’s SPOON. Krisztian’s passion for cuisine led him to open his own acclaimed restaurant, Zsolnay, in Tokyo, Japan and saw him on the opening team at Jamaica’s Ritz Carlton Rose Hall and at the Ritz Carlton in Hong Kong. 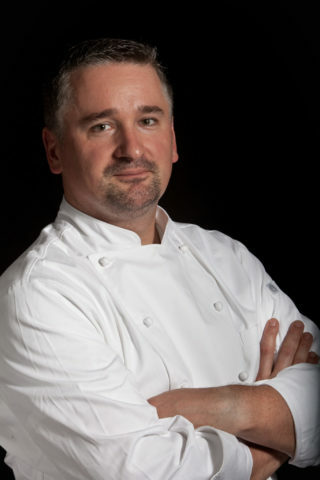 His career progression included experience as Chef du Cuisine at Scottsdale’s five diamond, iconic JW Marriott Camelback Resort, Executive Sous Chef at the storied Balboa Bay Club & Resort in Newport Beach and Executive Chef of Napa’s prestigious Meritage Resort and Elaine Bell Catering. At Tisza Bistro, Chef Krisztian can be found delighting his guests with artistic presentation and global inspiration, deftly blending old world European charm with new world flair and sensibility. Chef Krisztian has come to love Sonoma County as his new adopted home and welcomes guests to experience the best that wine country cuisine has to offer.